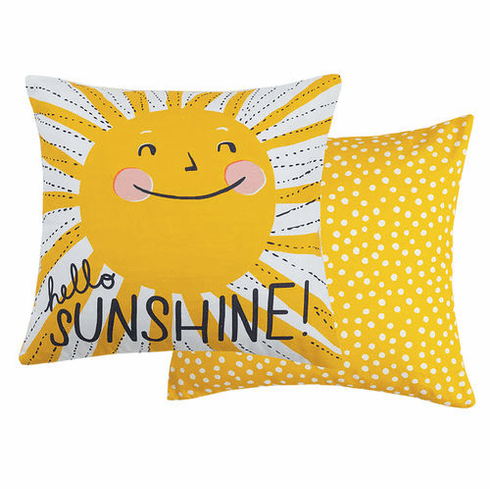 Home | Home Decor & Accessories That Bring Joy | Accent Pillows | HELLO SUNSHINE REVERSIBLE PRINTED PILLOW, 24"sq. Hello Sunshine reversible print pillow will not only brighten any room but will just make you happy looking at it! Sunshine printed pillow measures 24" sq.